ALBANY, N.Y. (March 15, 2019) — Nine Pin Ciderworks, New York’s first farm cidery, has announced the release of their seasonal cider: Cidre Rosé. Cidre Rosé was named “The Drink of the Summer” by InStyle magazine in 2017. Beginning on March 15, the wildly popular blend will once again be available to the public. 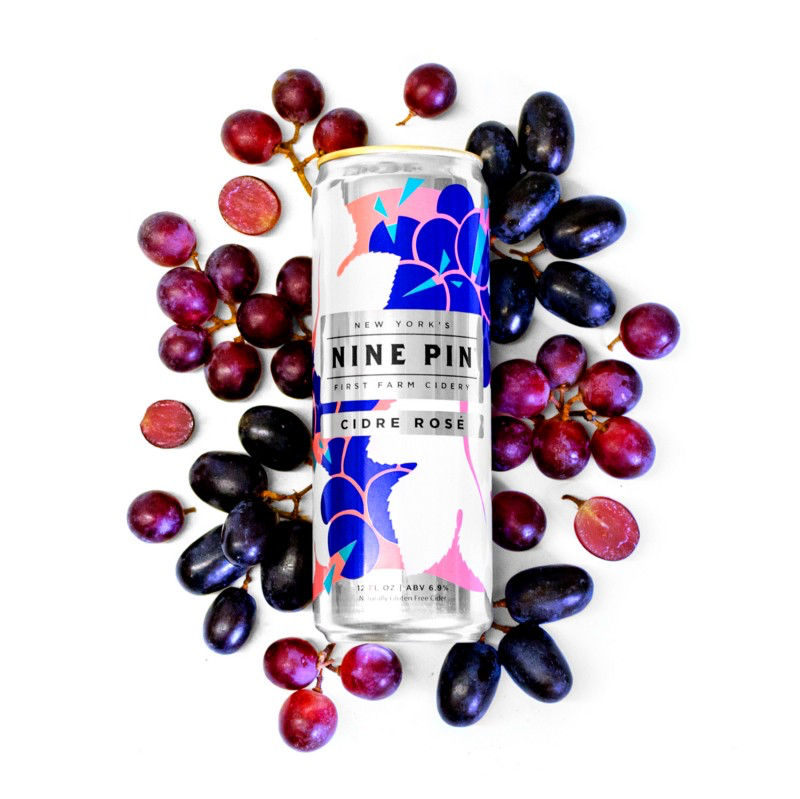 Nine Pin’s Cidre Rosé cider is produced from a unique combination of Samascott Orchards apples, co-fermented with the skins and juices of New York State grape varietals: Concord, Traminette, Chancellor, and Noiret. The resulting fusion of these local ingredients gives this cider a full-bodied flavor profile with complex grape aromas. “We are thrilled to be bringing back our Cidre Rosé. Each year we perfect our process which blends modern world craft cider making, and old-world methods of rosé wine making. All of our efforts have resulted in the most refined batch of Cidre Rosé to date,” said Alejandro del Peral, co-founder and cider maker. The company is launching this year’s release of Cidre Rosé with a series of tie-in events at its Albany tasting room. Cidre Rosé is available in 12 oz. cans at Nine Pin’s tasting room in Albany and through retailers carrying Nine Pin products. About Nine Pin Ciderworks: Nine Pin Ciderworks is New York’s first farm cidery. Founded in 2013 and based in New York’s capital city, Albany, Nine Pin cider products can be found in hundreds of bars, restaurants, and retailers throughout New York, Massachusetts, Connecticut, and New Jersey. Nine Pin produces all ciders, sourced from Capital Region and Hudson Valley apples, in its 17,000 sq. ft. cidery facility and tasting room in Albany Warehouse District. Be Revolutionary®, Consider The Apple®, and Drink New York Apples®. www.ninepincider.com.